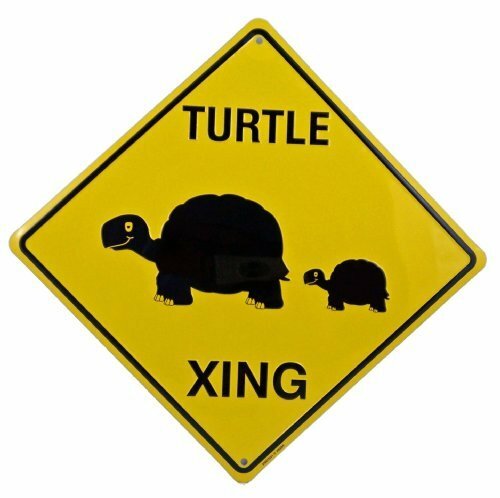 This is a NEW Collectors Tin/Metal, Turtle Xing sign. It is diamond shaped and measures 12" x 12" with 2 pre-drilled holes for easy hanging. Your sign is yellow with black Turtles, letters & border. It is a tin/metal sign, the Turtles and xing are embossed. It will look great in the kid's room, game rooms, garages, playroom's, restaurants, bars, etc. If you have any questions about this product by Upfront - Decor Time, contact us by completing and submitting the form below. If you are looking for a specif part number, please include it with your message.